I’m not planning on getting married any time soon, in case you’re wondering, but I happened across some very cute white shoes recently, so figured I’d share, seeing as it’s spring and all and people are going to be thinking about their summer weddings. There are actually quite a few places making bridal vegan shoes, or shoes you could easily use as vegan wedding shoes. They range in style and in price, which can be a bit overwhelming, but then again, it’s good to be able to have an actual range of cruelty-free options for a change. Unless you’re young and were born into a far more vegan-friendly world, this is still BIG NEWS. So here are some good sources for pretty and 100% vegan bridal shoes. This wonderfully British designer vegan shoe brand have a whole page dedicated to bridal shoes. They have flats, heels, sandals and even boots (pictured) and shoes for those who are not feeling quite so femme but still want to wear white. Check out their selection here. This consciously vegan, cheap & cheerful brand has an impressive selection of pretty white heels, platforms and flats. Want a pair of hot white heels for your wedding that you’ll never wear again (because: white)? Check these out. Some really cool styles there and really very reasonably priced. 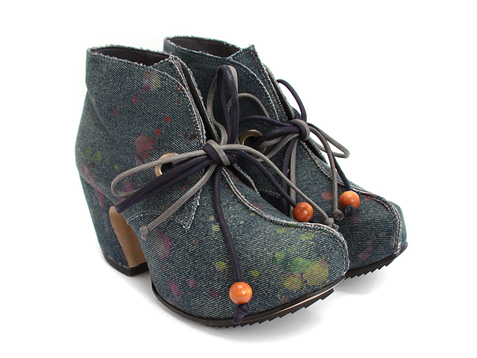 Great if you like high or very high heels and platforms. Here is their selection of white heels. 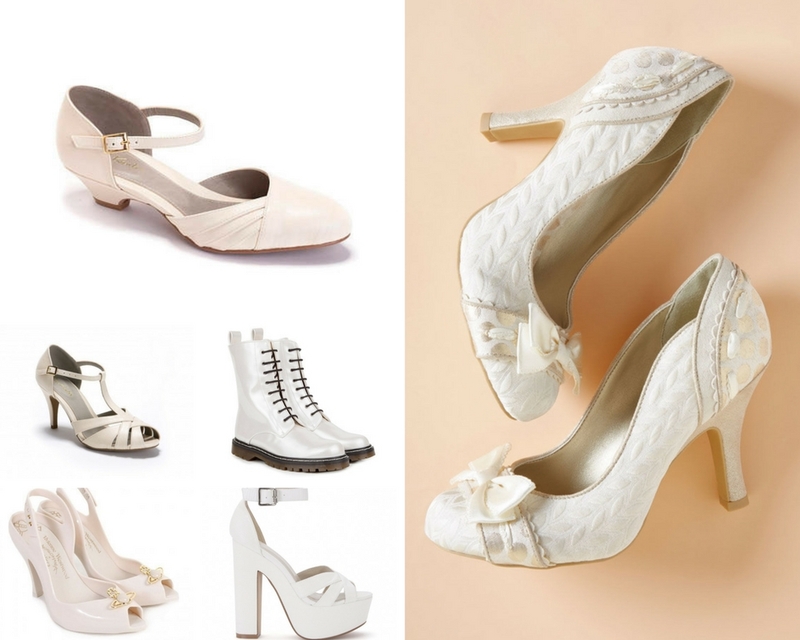 This Etsy designer makes super cute retro-inspired shoes and specialises in bridal shoes. Everything she makes is 100% vegan. She makes flats, mid heels and low heels, so these are a great choice if you want to look cute but also be comfortable. They’ll also go well with vintage styles. Here’s what she currently has on offer. I found the Ruby Shoo shoes pictured right on the Modcloth site, alongside some other white / ivory styles. It’s always worth keeping an eye out as they tend to grab some really cool styles. These are also pretty neat. I also know some women who got their actual wedding dresses from there, though their weddings were quite informal. If you don’t have an aversion to basically wearing rubber shoes at your wedding, you could do worse than checking out the Melissa range. There are lots of Vivienne Westwood heels and flats that are absolutely beautiful, including matching pairs (so you could wear heels to the ceremony and flats to the party). They’re also generally incredibly comfortable. Here’s what the UK store currently has for women. Lots of suitable shoes there. Do you know of any other great sources for vegan bridal shoes? Feel free to let me know in the comments!